Corporate and personal gift ideas For Cancerians, Leos and Virgoans. You may love astrology or hate it, but cannot ignore it. There are peculiar gift giving ideas relevant to each sign. Whether you are deliberating over what to gift your boss, your friend or mate on his/her birthday or any special occasion, their zodiac signs will give you clues for the suitable gift. Here, we consider Cancer, Leo and Virgo! Boss: For Cancerians, there’s nothing more precious than their home or their family. Good gifts for them comprise a family portrait, prints, photo albums, home accessories, decorative pieces, etc. Friend & Family: Mix sentimentality with home & hearth and you’ve got it right with them. An intimate dinner bash, a family outing, or quality time with your partner are great tangible or intangible gestures that they will appreciate. Things to do with home décor, kitchen utilities will be well liked. Your options are cookbooks, cooking courses, goodies basket, gift certificates from a home store etc. Boss: A Leo treats her/himself as the king of his/her domain, much like Lion, the king of the jungle that represents this sign. A Leo boss has high expectations and expects to be treated royally. Appropriate gifts are the high quality and rather grand ones! Sophisticated and exclusive items like jeweler, gourmet foods & wines, fine crystal products, branded merchandise make ideal gifts. Friend & Family: Go for something, which is flashy and makes them feel as the centre of attraction. Gift items with a lot of bling like rhinestone studded clothing, diamond ornaments, hair accessories, fancy cuff links go well with them. They like to be pampered so a session at the spa is a perfect gift for them. Apart from those making them feel like king, gifts involving an element of drama are also well received. Thus, lottery tickets or tickets to a big Bollywood/Hollywood hit will allow you be in their good books! Boss: Probably the most practical Zodiac sign, a Virgo tends to be extremely organized and tidy. They appreciate gifts that reflect or accentuate the same quality. So, your options comprise fancy calendars, personal diary, organizer, visiting card holders, leather wallets etc. Friend & Family: Apart from being organized, a Virgo is also very health & beauty conscious as their sign rules the House of Health. Ideal gifts include salon certificates, beauty treatment packages, gym memberships, exercise equipments, manicure and pedicure sets health products, etc. Healthy and long-lasting is the way to describe a Virgo friend. Good gifts comprise health books/CDs, dancing/sports lessons, vacuum cleaner, Yoga class membership, etc. A watch may spell w-a-t-c-h to the average Joe, but it spells time, money and respect to the corporate professional. It is a simple gift that does not have to be too expensive and yet will convey all the right intentions. However, it is easy to go wrong with it for it is such a common gift idea many do not give too much thought to it beyond the boring brown or black strapped ones. When it comes to the dial, choose one with numbers over one with four strokes; it’s more definitive. No one wants to have to try and figure out the strokes on the dial when in a hurry. A big, broad watch with bulky dial and strap is for men only, while women prefer slim or normal-sized ones. Preferably, keep the impressively big watch for your boss and stick to normal-sized ones for your colleagues. The safe colours are black, brown and navy blue but the textures may not be as boring as the colours sound. You can choose from patent leather to animal skin-embossed leather to felt and suede. An interesting buckle also goes a long way towards making the owner of the watch feel good. When looking to break out of the traditional colour mode, go for different shades of the colours rather than heading straight for the bright. A charcoal black stands out with an interesting texture, a deep cobalt blue looks hip in patent leather; opt for ‘serious’ shades of fun colours like a magenta or deep purple or a dark red. Then your flamboyant colleague can express his personality without stepping out of bounds. There are various brands available at reasonable prices. So take your time and take your pick, and watch them flaunt their wrists! Nearly eight in 10 Indians (77%) prefer Clothes, Sweets (including chocolates- 69 %) and Books (49%) as their preferred gifting items. Importantly, more than half of the people surveyed indicated they would shop online. Following are the broad findings of a survey conducted by Nielsen India on gifting patterns research panel. •	Differences are there across different age groups in terms of gifting items, budgets and shopping channels. •	The younger crowd (15-24 years) prefers to gift technology gadgets such as mobile phones and MP3 players. •	Holidays (travel and accommodation), travel tickets and tickets to amusement parks are popular new-age gift ideas. •	About 20 percent would like to give wine as a gift. •	More than half of the people surveyed indicated they would shop online. In every organisation, there is a hierarchy of executives at different levels. To maintain a communication channel with all of them directly is not possible at most times. However, it is neccessary for us to maintain our communication with as many people as possible or atleast keep the word that the relationship exists between two people. 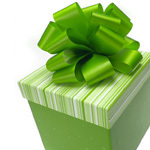 Corporate gifting enables you to maintain those communication channels and also keep them open all the time. Sometimes, we have not been in touch with a couple of colleagues for a long time and we require to connect with them again. We can just send them a card that wishes them well or expresses some words of thanks along with a small gift that they would love. Naturally, the gift bought shouldnt be so expensive as you must not make an impression that you are gifting them because you need them for some reason/purpose you wish to accomplish. This simple practice can be done just to keep ones relationship fresh and alive, and keep remain connected somehow with more number of people at the same time you havent been for a long long time.